Stylish, fancy, Oriental-looking, poufs are pieces of furniture that should never miss. 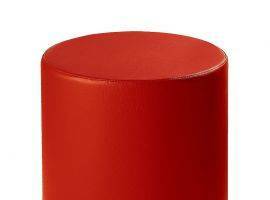 Pouf is an onomatopoeia, which recalls immediately the sound produced when someone sits on its comfortable surface. 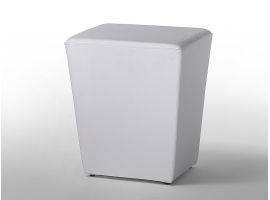 Sack poufs are very comfortable, soft, light and absolutely functional; we can sit comfortably on it and literally let ourselves sink in its softness. This piece of furniture, as happens for all the fashion pieces of furniture, has been modified and improved, without forgetting its main characteristic: comfort. Actually, when we think about poufs, our mind can fantasize, bringing us in distant lands; and here we are: we can admire magical and mystical Oriental landscapes, big pillows on the floor and people who chat comfortably sitting on them. Maybe the concept of peacefulness, calmness and relax which lives inside our souls has permitted us to open our mind and welcome this oriental and beautiful price of furniture inside our homes. 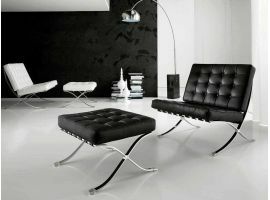 It has become synonymous for relax and elegance, beautiful for the eye and comfortable for our body. The best characteristic of sack poufs is undoubtedly its softness, but also its unique style and the endless possibilities of disposal. A handy, practical light and beautiful piece of furniture seems to be owning all the right characteristics. Sack pouf… And it’s suddenly magic! Infabbrica offers to its customers a broad range of design poufs, while guaranteeing quality resistance over time and latest design; sack poufs, coloured, rectangular, of ecological leather (in this way we respect our environment), cube shaped… Are you ready to discover all the variety of stylish and unique product we offer? 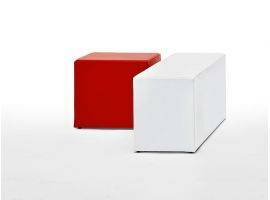 Infabbrica offers also the chance to buy outdoor poufs made of polyethylene, a very resistant material. This piece of furniture is ideal for those who love living close to nature and spend much time outdoors. These poufs are as comfortable as the indoor ones. Now many models of different dimensions and colour exist. Poufs are the right solution when it comes to decorate our home, maybe with a touch of exotic and Oriental style, near a sofa, in our living room. To give more emphasis to this unique and exotic style you can for instance add some particular and Oriental ornaments, exotic plants and so on; in this way, you will create a relaxing corner where you can comfortably sit and think. 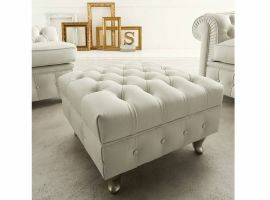 Indeed, more and more people want to enrich their homes with particular and unique pieces of furniture to renew their traditional home and adding a personal touch; poufs are the right solution, with only one piece of furniture you can give personality and add a touch of style to your environment. With Like pouf, woven pouf cotton 100%, our home will acquire a fresh and modern aspect; it can add a note of elegance to each decorating style. 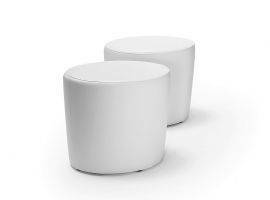 For who wishes to find a practical solution, but does not want to give up on style and elegance, can rely on Barilotto stool pouf. Its structure is projected to be functional but also aesthetically pleasing. The inside can be used as a container. Elegant and space-saving, it is able to conjugate with harmony beauty and functionality. 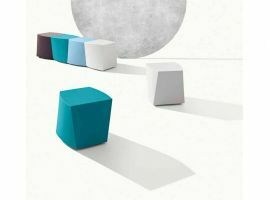 For those who love strong colours, Cubo 05 pouf will be the right solution. With its fancy design and strong personality, will give a modern touch to your living room. 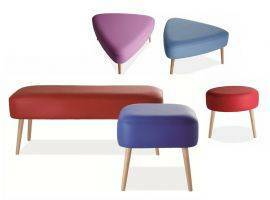 Coloured poufs, sack poufs… There are many versions of this piece of furniture that can satisfy every need and request; now choosing the right one among the broad variety of products is up to you. 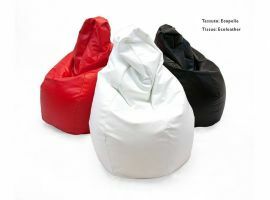 For those who pay attention to our environment, Bean bag 2, pouf made of recycled pieces of cloth. Its patchwork surface is multicolour and unique, able to give a strong impact to the environment. 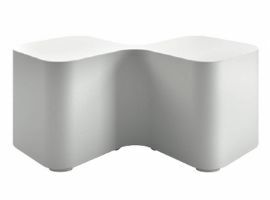 Apple pouf is made of polyethylene, ideal for outdoor spaces. 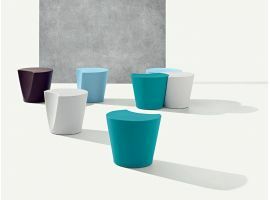 Coloured poufs will make your garden and outdoor space modern and fancy. It can be used both as a chair and as a coffee table, for this reason it is very functional. You can also mix many colours to create a unique effect. Follow your style and your fantasy and you will create a beautiful combination! Now relax, take a deep breath and let you fall on your comfortable pouf! Don’t you have one yet? Then visit the pouf section on our website and choose the one you like the most!